I was in the mood for a sardine samwich. Doen't happen often, but when the mood strikes, I act. I had sardines in the house. As I got up to make the samwich, a strange sense of eagerness came over me. I remembered when I was a little Roberta and how I would want to open the sardine can when my mother was gonna make something with sardines. I loved that key and that can. Now they've made opening the can easier, but they removed the fun. Phooey. So I start ruminating and cogitating (duck when that happens). What else has been improved to funlessness? Long-necked, glass ketchup bottles. I remember being in a luncheonette/diner somewhere and watching as people waited for the ketchup to come out. Loved seeing how they would try to help it along. Pounding, banging, hitting, occasionally peering up into the bottle, using a knife, using a straw. Loved seeing the emotional reactions to the slow moving red stuff. Anger, frustration, calm, laughter. With others at the table offering words of advice and encouragement. Now accessing ketchup is easier. And the fun is gone. Phooey. I will continue to ruminate and cogitate (don't forget to duck). So what else has been improved and made less fun? [+3] - edgarblythe - 12/21/2013Sen-Sen on the counter at the grocery store. White butcher's paper. Milk with cream on the top. When I was a kid we had this gadget called a food mill but it was nothing like what we think of a food mill today. It was a metal, three-legged thing, had round disks of various blade shapes. You'd insert a disk, thread the handle through the disk to keep it in place while turning the handle. You'd open up the hopper, place a carrot inside, close the hopper and turn the handle while holding down the hopper cover to keep the carrot pressured against the blade. We grated many a carrot that way for salad. I always loved the sound of the thing slicing through the carrot and inhaled the sweet carrot smell. These days we have food processors and the whole thing is done in a matter of a few noisy seconds. I've never seen anything similar to that gadget, just lots of plastic imitations that don't really function the same way. We used to have a brand of crisps (chips in the US) which were plain. No flavouring, no salt. In the far and dark recesses of the bag, there was a small, waxed paper twist that contained salt. 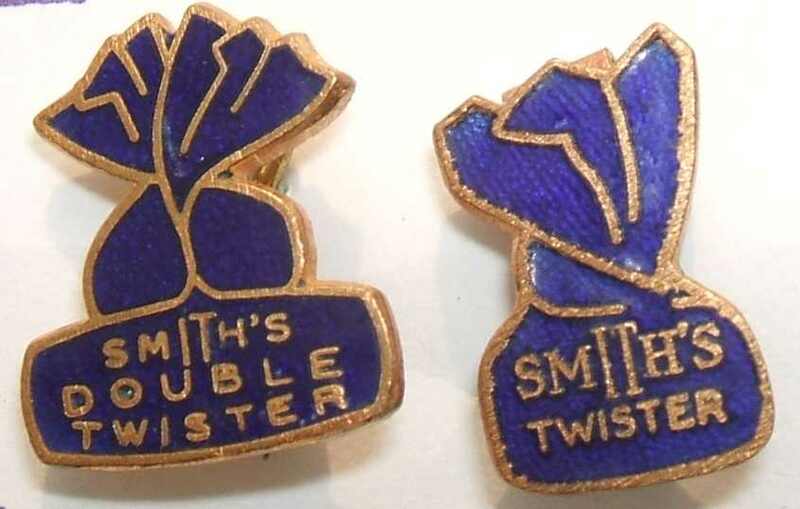 One of my fondest memories as a kid was sitting outside our local pub on a sunny day with my two brothers, with a bottle of coke and a packet of Smith's crisps each, then doing all the fiddly stuff to eventually sprinkle the salt. They 're ready salted nowadays. Cracker Jacks! There used to be a toy in the bottom of the box. Last time I saw a box of Cracker Jacks, no toy. Maybe a little wad of paper with an alleged joke written on it. I saw some in the store the other day and there's not even a box. It's a bag. Do I know what was in it? No. I went home with a box of Captain Crunch. Now I got it. Crisps are chips, and chips are kind of like french fries. Thank you very much. Erm.... Crisps are called potato chips in the US. Chips are called chips in the UK, despite the McDonald's effect, and are also made from potatoes. Cut into individual units about the size and thickness of an adult male's index finger, it is sprinkled with salt and malt vinegar, unless you live in some parts of Scotland, where they use brown sauce instead of aforementioned vinegar. Skip over the Channel, and then you have something different altogether and usually called frite or frites, depending on how many you order. These are usually a lot thinner, much like the McD twigs and dipped in mayonnaise. The French do not call them french fries. Crisps, on the other hand, are cross cut slithers from a whole potato, deep fried or oily baked until they are brittle, then salted or flavoured before being bagged. So, crisps are not chips unless you are in the US and surrounding areas. Chips are not fries unless you are in a country that calls them fries, and neither are they frites. Bring back the key for coffee cans, too. That first twist released such a wonderful aroma. I miss the original donuts. They were much larger and tastier. The grease dripping down your arm was part of the charm. Full service at a gas station!! The worker would fill the gas tank, wash the windshield, check all car fluids and the tires. Real service. I miss it. I remember that well. The Ronco (Ron Popeil) started selling automatic ones on late night UHF TV channels. They use them nowadays to prepare ground (game) meat (perhaps for sausage?). However, I recall when she made her cole slaw, she used one of those the manual hand slicing / grinders. Food processors,,,boring... happened as a late 70s 'to early'-80s solution. Full service stations gave out dishes and or Green Stamps. I found pictures of plastic models, it was made byMoulinex. That second picture was the model exactly of the other grinder my mom had. I recall cutting up onions with it. She used to make her turkey stuffing using that. I gave away my mother's meat grinder. I gave a way my mother in law's meat grinder. Bad girl, I am now so sorry - I like making my own sausages, and my fairly cheesy food processor is boring.. Speaking of keys, what about roller skate keys? 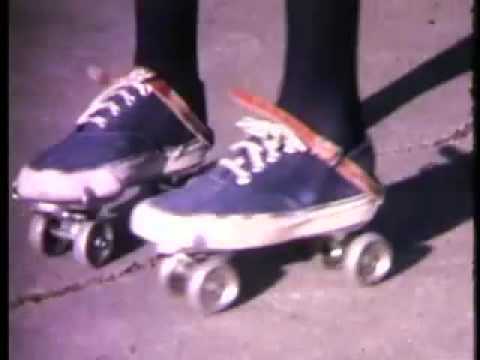 I remember trying to get the skates to grip properly around my sneakers, then having a skate fall off when going full force down the sidewalk. I still have mine - have it on a heavy silver-like chain and wear it once in a while as a necklace. What I remember is what you do - the skates kept falling off, and not only with sneakers, as I'm not sure I had sneakers at all then. Keds were just coming on the market. we had one of those - my mom used to grind some sort of meat through it. I can barely remember it. But I do remember the sound much more distinctively than even what she made with it. Could be devil eggs or some sort of other concoction with this ground meat. I now know what ground beef is! We call it mince over here, and the contraption in osso's picture is a mincer. Mincemeat, mince pies, minced beef etc. I've read several articles or recipes when "ground beef patty" comes up...and I've sort of guessed eventually, but am happy now I know. Ground beef patty = Minced beef burger. This is it! I now remember - I did love the thing thought it way cool. Although I cannot remember exactly what the hell the meat ended up being we ate from it. Both my mother and mother in law didn't use theirs much. At the time I got my mother's, I didn't cook as much as I do now; by the time I got my mother in law's, it was just one more fairly big thing in a tiny kitchen. Now I do make sausage patties and find it way less expensive to start with fresh meat, pork and/or beef or chicken or turkey, and add one's own fillers and spices as desired, and perhaps a little fat depending on the meat type - plus no worries, generally speaking, about picking up an e.coli or salmonella baddie from already ground and packaged grocery store meat. Sort of equivalent to having a good butcher shop grind the meat freshly for you. Google salt 'n shake crisps and you'll find Tesco's website where you can still get them. They're made by Walkers now, they took over Smiths. » Bring Back the Key!